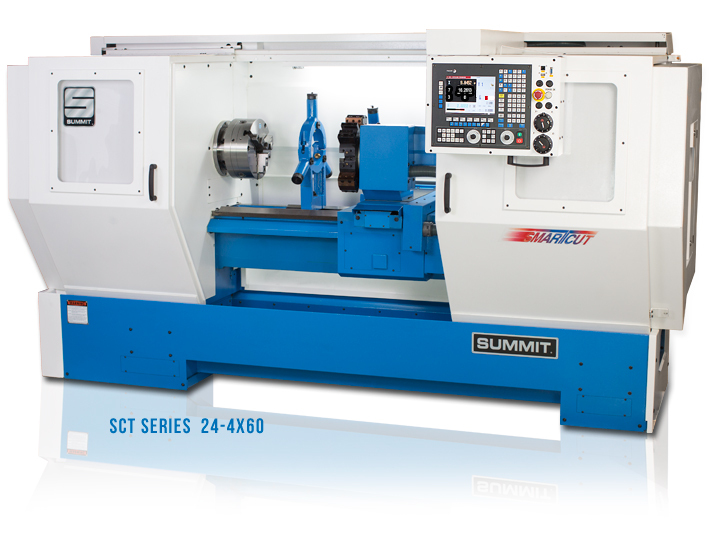 The new Summit® SCT Series Combination CNC Lathes are everything you expect from Summit: rugged and dependable, with the precision needed for the most demanding applications. They combine the precision of CNC controls with the ease of operation of a manual lathe to provide maximum convenience and economy. The SCT Series CNC Lathes are designed for shops evolving from manual lathe operations who need the ability to produce parts faster and with increased accuracy. These machines are perfect for users who want a simple and easy to use machine. The control language is either ISO G-code or conversational, with on-screen menus and prompts to make programming virtually foolproof. The combination of CNC technology and manual capability make the SCT Series CNC lathes the new value leader in turning.